Try Before You Buy; The Importance of Campus Visits - SchoolFinder.com! The best way to ensure you are selecting the best institution & program is to go visit! Are you feeling overwhelmed by all of the post-secondary institution and program choices? Going to post-secondary is a big investment, so you want to ensure you do lots of research ahead of time so you know which institution & program is the best option for you. Doing research before making a decision will make you more likely to be successful in your courses and ensure that you don’t waste unnecessary time and money. A campus visit is a great way to do some of that research, as it can help you decide if you like the institution, the facilities, the staff & faculty, and your program of interest. At Olds College, our programming is hands-on, versatile and sets graduates up for success in industry. We offer many one-of-a-kind programs in the areas of Agricultural Management, Hospitality & Tourism Management, Brewmaster & Brewery Operations Management, Horticulture, Turfgrass Management, Equine Science, Farrier Science, Animal Science, Business Management, Land & Environment, Trades & Apprenticeship and so much more! If any of those sound appealing to you, one great campus visit opportunity at Olds College is our upcoming Preview Days. When you attend a Preview Day, you have the opportunity to learn more about the application & admission process, go on a comprehensive campus tour, enjoy a free lunch, and participate in program-specific activities in the afternoon. Eligible attendees can also apply to Olds College programs for FREE that day. To register for the a Preview Day, we ask that students go to our website and fill out the Registration Form. 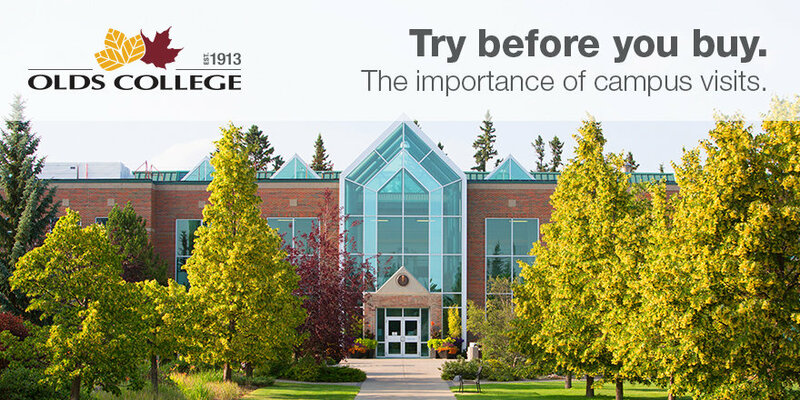 We’d love to have you attend and learn more about how Olds College can help you grow your career!